Long-lasting brilliantly colored fine line markers. 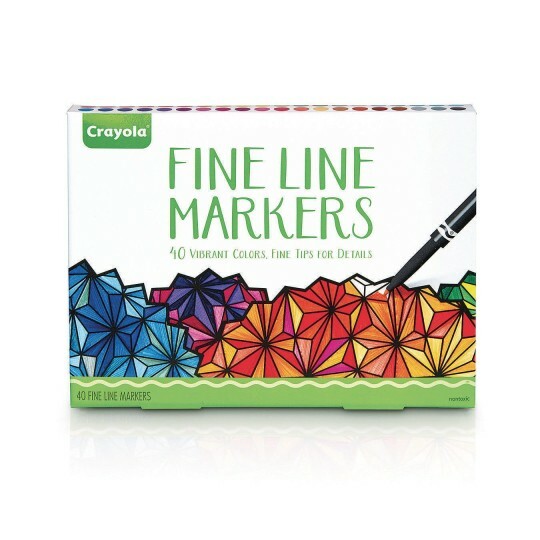 Fine tips are perfect for detailed coloring and give a more vibrant result than colored pencils. Approx. line width is 1mm. Non-washable. Non-toxic. ACMI certified Conforms to ASTM-D-4236. Set of 40 colors.